Several nonprofits we work with are just starting to take advantage of all the data Google Analytics offers. Once they do, they realize just how valuable it is and how much more quickly they can make informed decisions. 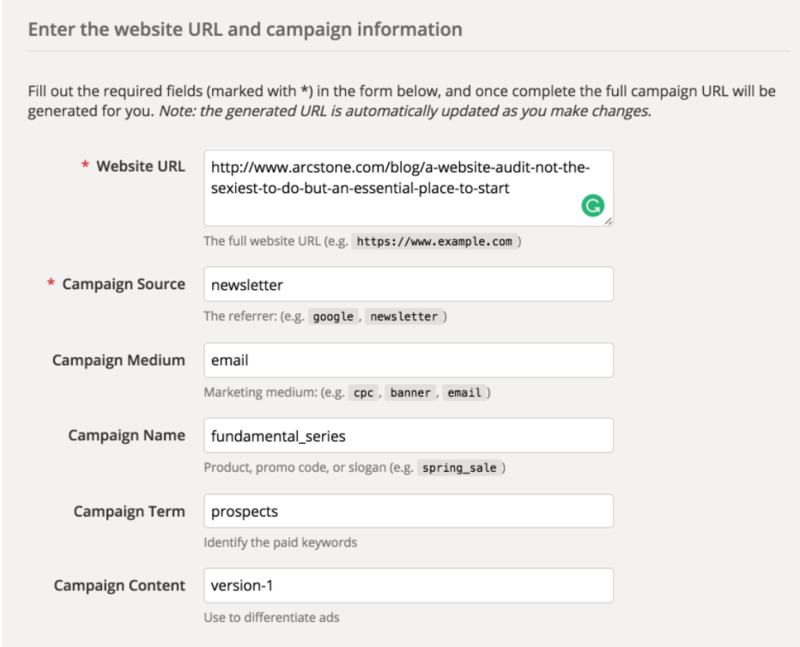 To keep you on top of the latest in digital marketing, we are going to walk you through a game-changer in understanding your efforts: UTM parameters. In short, when you implement this type of tracking, you establish a better system for understanding where your traffic comes from. Sure, Google tells you if something is direct versus from Facebook, but what if someone goes from Facebook and then shares that post on Twitter? If not tracked with UTM parameters, you are seeing incorrect data. Once you understand what caused campaigns to get the traction they did, you can duplicate and then improve this strategy down the road. For example, say you’re trying to gather donations for your year-end campaign. You have a landing page with a well-crafted video and an optimized form, but you don’t know what will get people to see it. With UTM parameters, you can set up a campaign in Google Analytics and tag each source of traffic. That way you can see if people are coming from social, your newsletter, organic or your paid campaign. You can see above that their traffic from Twitter visited the most pages, spent the most time on site and had the lowest bounce rate. Knowing this, as the run the campaign the next month or year, they’d want to optimize it for Twitter and even consider a Twitter ad. As a nonprofit it’s also important you demonstrate the value of your tools. This data can show that their app Buffer is worth the cost. Campaign Source: Where the traffic first came from. This could include Google, social media, emails or AdWords. If you haven’t signed up for your free Google Grant, please read this post! Campaign Medium: What kind of traffic it is. This includes your CPC campaign, that newsletter you sent or a brochure. Campaign Name: This is whatever phrase you want to use to identify the campaign. Campaign Term: This is where you can get more specific, using words to note your keywords and define your audience. Campaign Content: Where you track the effectiveness of ads, especially good if you’re comparing this campaign to another one. It doesn’t really matter how you specify your campaigns and fill out this data, as long as it’s consistent. If you’re not, you risk not being able to compare one campaign to another, narrowing how much information you can glean from your efforts. Lisa says it helps to stick to lowercase and use dashes instead of spaces. Keep track of your urls with a tool like Google Sheets. 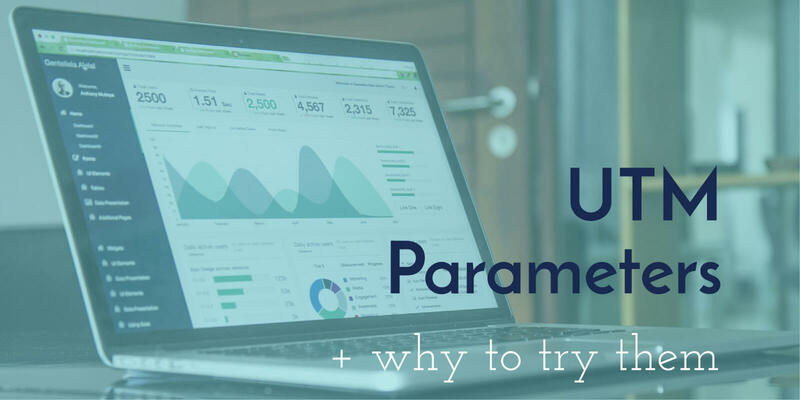 Lisa shares her template which you can simply copy for yourself: Google Sheets Template for UTM Parameters. To fully take advantage of this tool, track as often as possible. That way you can compare your campaigns and gather a ton of data over time. If you need any help getting set up with better Google Analytics, we have a free guide to get you started. We’d also love to take a look at your current efforts and help you on an individual basis. Let us know if you’d like to meet!